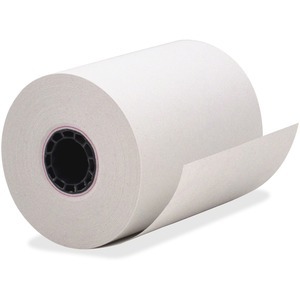 Bond paper roll provides crisp, clear images for use in point-of-sales machines. Eco-friendly design is made with post-consumer content to reduce waste. End-of-roll indicator conveniently lets you know when it's almost time to replace the roll.